In a gesture of solidarity with Guantanamo Bay prisoners, who are continuing their month-long hunger strike, activists across the world have launched a week-long fast. The campaign will also include protest rallies and vigils. 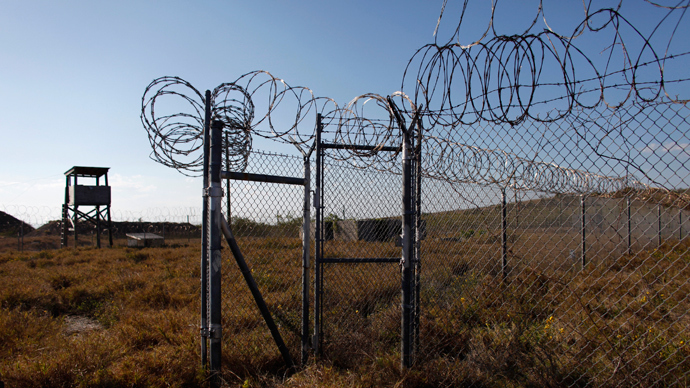 The action, organized by the Guantanamo prisoners support group Witness Against Torture (WAT), began on Sunday and is to last through March 30. Some activists plan to continue fasting every Friday until the prison is closed, the group says. The fast will be accompanied by public gatherings to protest against the existence of Guantanamo prison and the condition of people held there. “We will gather for action in New York City, Chicago, Los Angeles, and other cities domestically and internationally next week to denounce the barbaric practice of torture and indefinite detention and to demand justice for the men at Guantanamo,” WAT says. The activists also released a list of 166 names of Gitmo detainees, calling on supporters to flood the prison with letters of solidarity and remind the management “that the world has not forgotten the hunger strikers." 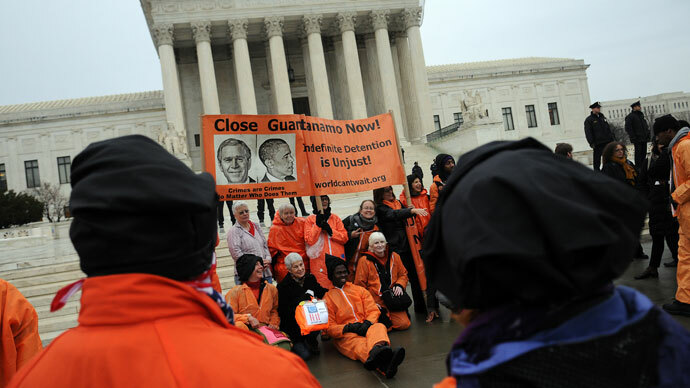 Human rights advocate Andy Worthington believes demonstrations like the recent one are crucial for changing the situation in Guantanamo, stating inactivity “would be a victory” for those whose aim is to keep the prison open. 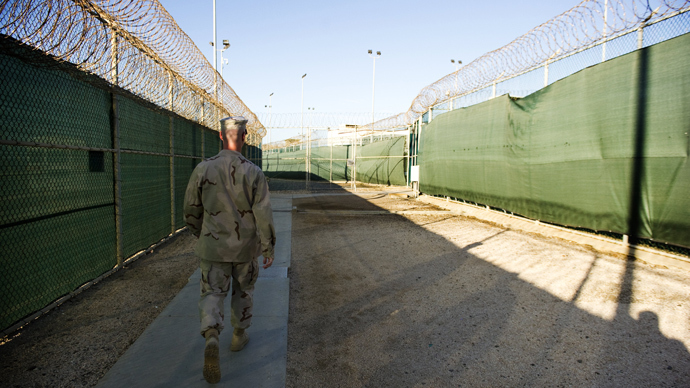 “Those of us working to close Guantanamo are up against powerful forces of indifference or hostility to our cause, despite the obvious justice of our position. People should not - must not - be put off by this indifference or hostility,” Andy Worthington told RT. WAT organized similar fasts of solidarity annually since 2010. The group itself was formed back in 2005 and has since been trying to make the US government close the notorious prison through vigils, marches, nonviolent direct action and other measures. 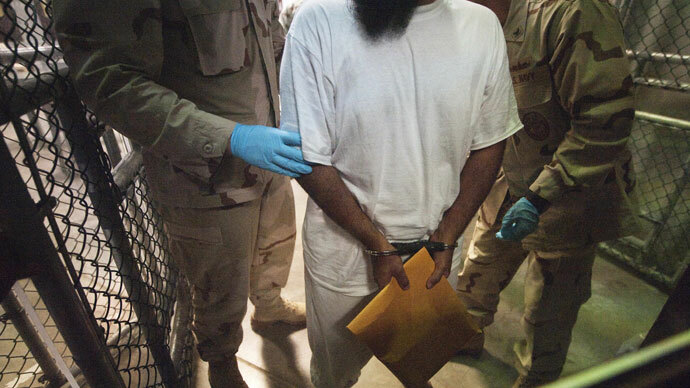 Lawyers of the detainees say more than a hundred of Guantanamo prisoners have been on a hunger strike since early February, with some putting their health at considerable risk. The protest was reportedly caused by mistreatment on the part of the guards, including searches, confiscation of personal items and desecration of Korans. Guantanamo Bay management has been downplaying the scale of the protest, saying that it considers only a handful of detainees to be genuine hunger strikers.